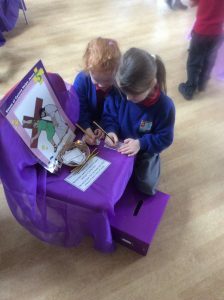 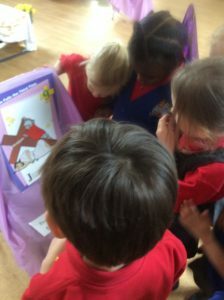 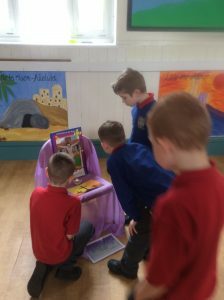 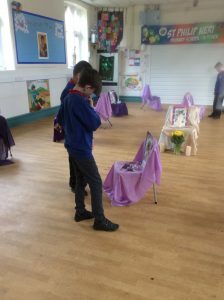 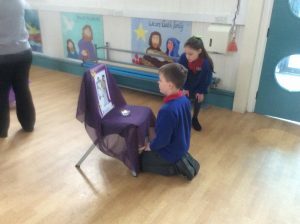 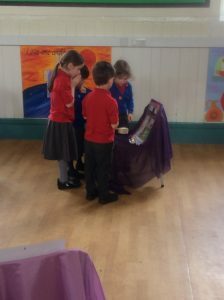 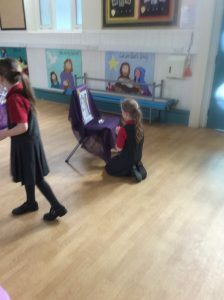 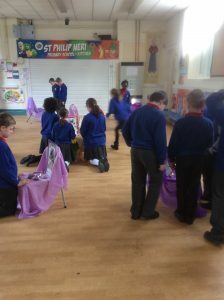 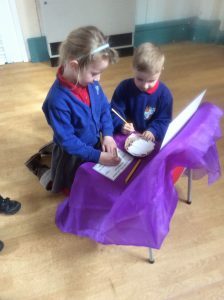 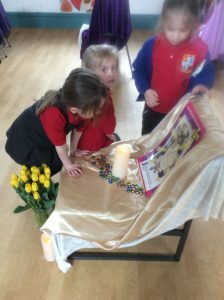 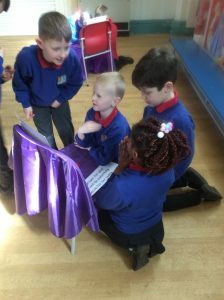 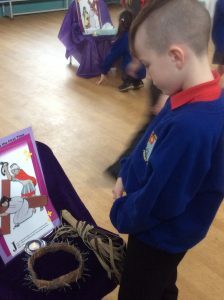 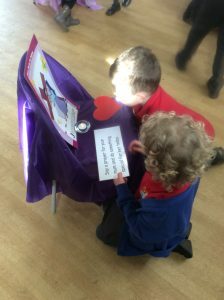 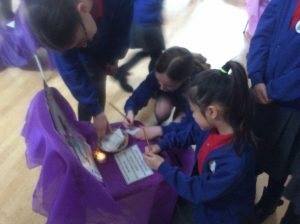 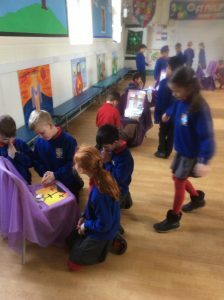 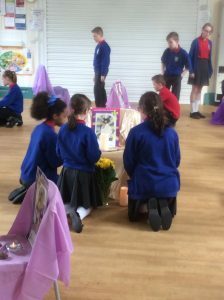 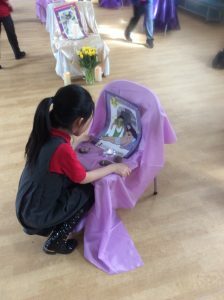 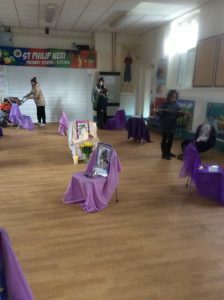 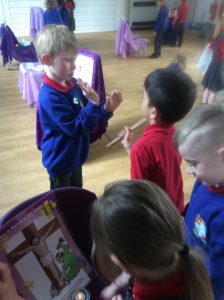 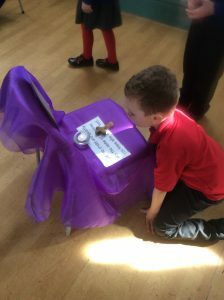 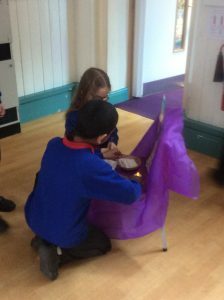 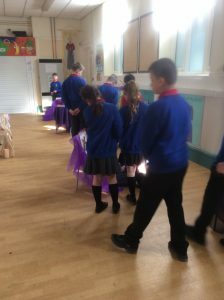 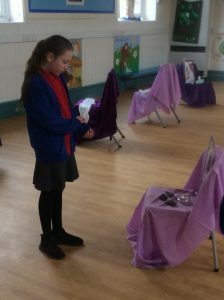 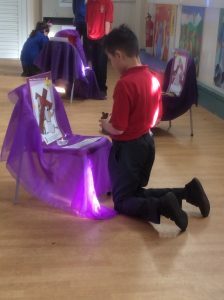 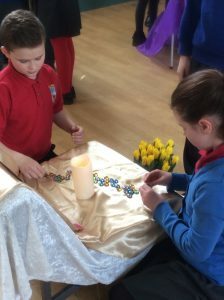 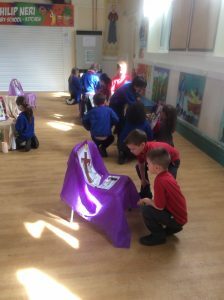 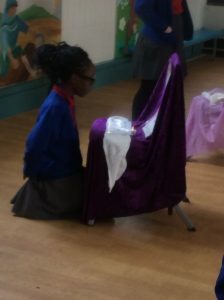 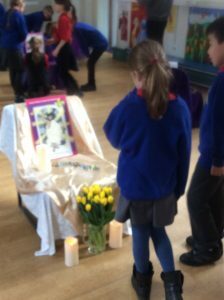 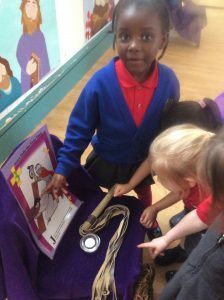 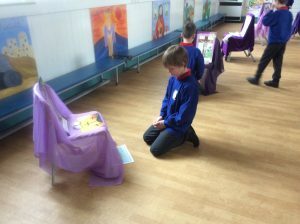 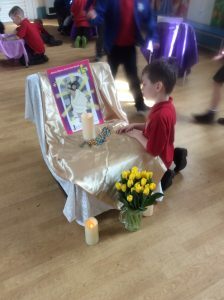 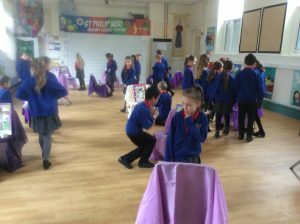 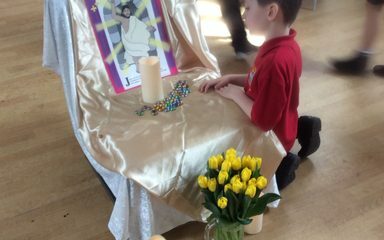 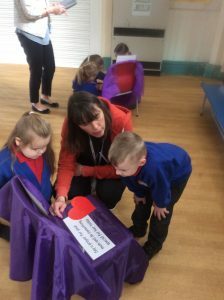 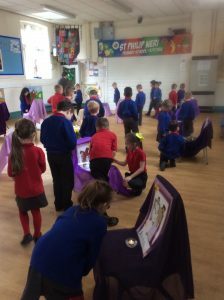 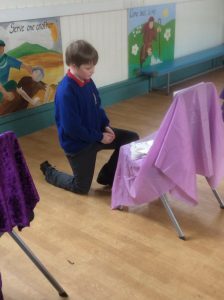 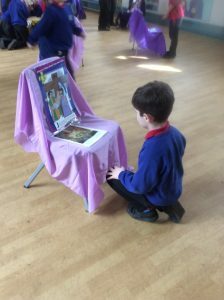 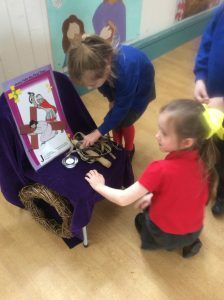 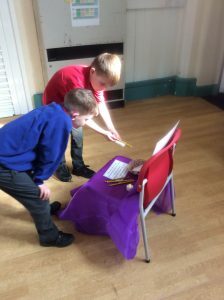 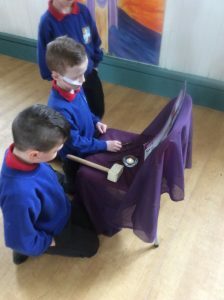 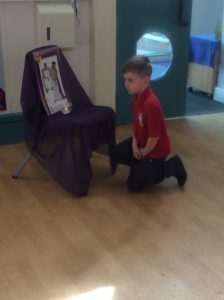 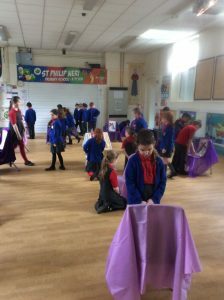 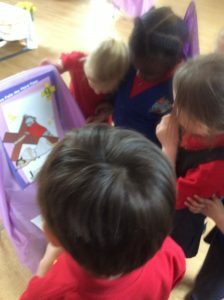 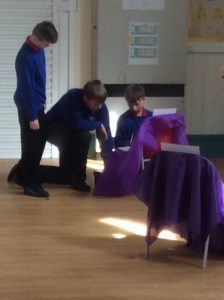 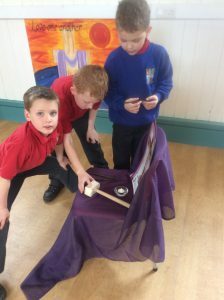 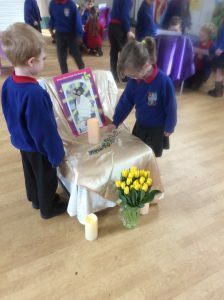 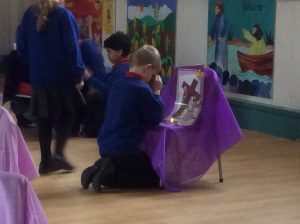 On Holy Wednesday the school visited the hall to reflect on the last journey of Jesus before he died. 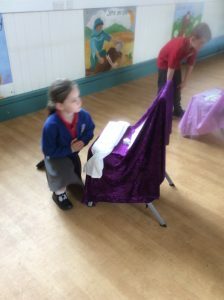 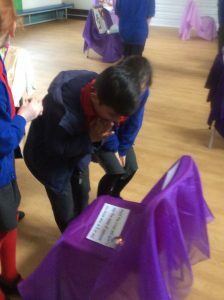 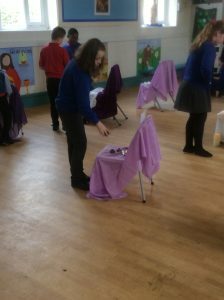 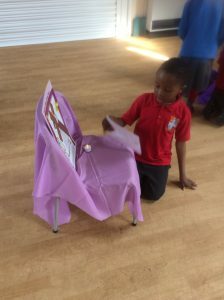 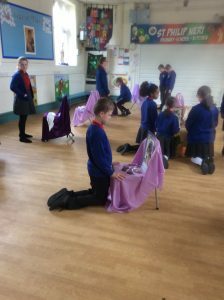 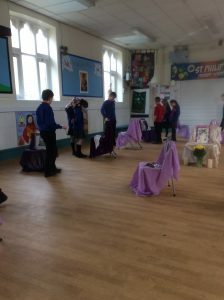 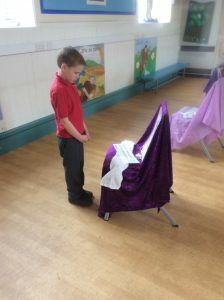 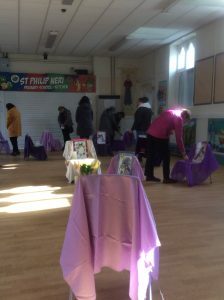 Fifteen chairs were covered in purple cloths to show each station. 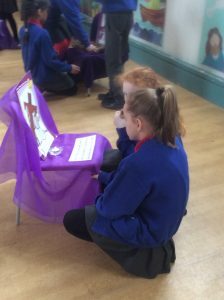 Sometimes we were asked to think about how Jesus’ journey could relate to our lives and how we can live out God’s message in our actions. 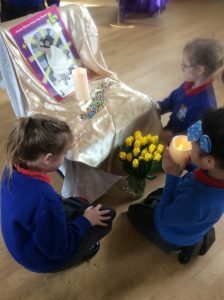 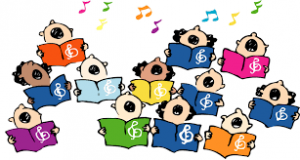 Through prayers, thoughts, reflections and silence, we come to the end of our term in a very reverent and prayerful way.